Alleged foreign underwater vessels in Swedish territory. You most certainly have followed the uproar about "aliens" in Swedish coastal waters recently. This has resulted in a general trend in Sweden, and the West, to see new threats arising from the "East". Nobody's talking about the threat against the East. What suprises me a little is that no (that I have seen) comparisons are made between the recent development and what took place before WW2 started. We have seen the US and their supporters edging themselves onto the Russian borders just like what happened then. Hitler sought partners on Balkan and the Baltic. He positioned himself by invading Poland, Yugoslavia and Greece. Romania and Bulgaria cooperated with him. Finland was hostile after the Winter War 1939-40. Norway and Denmark were occupied. Turkey was under the spell of the British. Czechia was taken over by Germany. And Hitler had Eastern Prussia. Today the "West" has almost exactly the same position as the German dictator had then. This probably wouldn't have mattered so much it it wasn't for the fact that when Russia is working itself up from the deep depression after the break-up of the Soviet Union, it is seen as "expansionist" and aggressive. Even if it's just trying clamber itself back to a reasonable position in the world. I only hope Sweden and Finland are able to keep their heads cool and not let themselves be used for vicarious motifs by other states. mini-submarine in response to the media hystria. It all started when some clowns claimed to have seen and photographed the "object". Russian submarine sent an unencoded distress signal. on "something". Any sonar nets, etc, are old news and have been there since the cold war era. Russia as it wants. The only issue is missile systems. The so-called missile shield needs a proper response. Entire EU and scandinavian countries are vassals of the US and will do as their master tells them to do. That means the war propaganda against russia will be pitched up over time more and more untill those stupid little countries will burn their hands. I always compare the current world war with the other world wars. I have here often compared the current stage of the current world war with the Phoney War stage of the previous "world war" (or the world smoke and mirrors). The conflict follows 23 years after the first Cold War ended, which was fought between the United States and the Soviet Union and took place over much of the 20th century, finally ending in December 1991 following the collapse of the Soviet Union. These tensions have gradually escalated over the course of the early 21st century, beginning with NATO expansion into eastern Europe. Russia voiced deep concern over NATO enlargement into former Soviet spheres of influence, as well as concern over the United States national missile defense program feeling both NATO expansion and the US missile defense program as a threat to Russian national security. 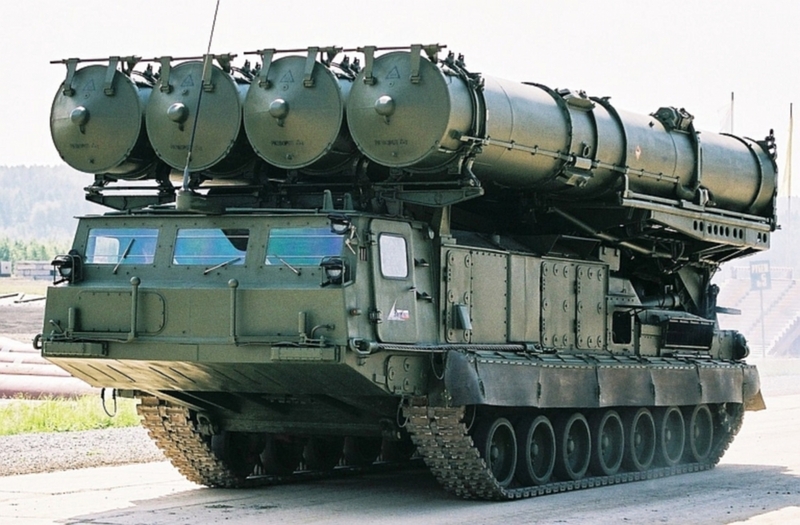 Russia stated if the USA were to deploy an ABM shield in Poland and Czech Republic, then Russia would respond by deploying Iskander missiles in Kaliningrad. Relations between Russia and the United States were further exacerbated by the 2008 Russo-Georgian War. Relations reached their lowest levels in early 2014 when the Ukrainian government was toppled during the 2014 Ukrainian revolution. During the aftermath of the revolution Russia annexed Crimea, and by August 2014, relations between the United States, European Union, and Russia were claimed to have deteriorated to a point "beyond repair." Although not strictly the beginning of the crisis, use of the term "Cold War II" and speculation over its appropriateness grew as tensions between Russia and the West escalated through the 2014 Russian military intervention in Ukraine, the Russian involvement in the 2014 pro-Russian unrest in Ukraine and the downing of Malaysia Airlines Flight 17, an action for which pro-Russian separatists were held responsible. By August 2014, both sides had implemented economic, financial, and diplomatic sanctions upon each other. Russia is temporarily suspended from the G8 following their annexation of the Crimean peninsula in March. As such, the G8 summit originally planned to take place in Sochi, Russia earlier in June was cancelled; instead, an alternative G7 summit was held in Brussels, Belgium. "un-west" will try to contain. MOSCOW, November 23. /TASS/. Russia is not planning to contest with Western countries or erect a new “Iron Curtain,” but the country will struggle for its geopolitical interests and develop its agenda, Russian President Vladimir Putin said in an interview with Andrei Vandenko, the author of the TASS project Top Officials. The west is declining relative to the rest of the world. A repeat of Cold War I will not happen. project. Supposedly the USA will be shipping "cheap" LNG to Europe and China and the Martians. nation. LNG will never be cheap. I stumbled across this detailed piece several days ago. All the talks about New Cold War will not end well for both, but will even be worse for the United States. Moscow reportedly told the US that it no longer needs assistance in safeguarding its nuclear sites, according to the Boston Globe. MOSCOW, January 20 (Sputnik) – Moscow has decided to end its nuclear cooperation program with the US, saying that it no longer needs assistance in safeguarding nuclear sites located in Russia, the Boston Globe reported, citing unnamed sources familiar with the situation. The decision was made late last year, the newspaper says, citing a three-page agreement signed at the meeting held on December 16. According to the newspaper, officials from the US Department of Energy, the US Department of State and the Pentagon, as well as high-ranking Russian officials took part in the meeting. The agreement put an end to Russia-US cooperation in protecting weapons-grade uranium and plutonium from being stolen or sold, the newspaper said. The United State has allegedly invested approximately $2 billion in the joint program. Several initiatives were expected to continue at least through 2018. The partnership, which had existed between the two countries under a host of Cooperative Threat Reduction programs, had been the most effective form of US-Russian cooperation since the end of the Cold War in the 1990s, according to the Boston Globe. The United States reportedly helped Russia destroy huge quantities of weapons-grade nuclear materials – enough to build hundreds of bombs, the newspaper said. It also assisted in equipping Russian nuclear storage facilities with security systems. Cooperation between Russia and the United States was frozen across many spheres following Crimea's reunification with Russia. Moscow has denied this allegation, saying the move received the backing of the absolute majority of people in Crimea, most of whom are ethnic Russians. Could be like the video of the Ukrainian Rada MP who predicted the coup a year before it. NATO is moving towards war on Russia. The sanctions and silly threats of SWIFT termination for Russia are irrelevant. If NATO is serious about removing Russia as competitor in the global economy (aka "threat") it will have to attack. is not playing out according to any NATO plan. They have to wait untill Putin's presidential term runs out and than try to push and install Nemzov,Navalny,Rosa or any other 5th columnist who all are proven and caught taking instructions right from US embassy, which should be closed and jailed everyone who does not leave the country within 12 hours. This is their only option a coup within or more likely trying to install such subhumans like Navalny,Nemzov,Rosa and who ever the rest of the scum is trying to run for presidency. WMD's in every country that has significant reservoirs of hydrocarbons, like we didn't see that coming! These bastards keep on using the same line but I think if something happens in Venezuela, Russia and China will step in. Venezuela needs to be part of the BRICS(why can't the current members not see that). The oil prices are being manipulated by the dam Saudis. I'm shocked that not more people are talking about this. I am shocked as well. It should be some comfort to see that not all sources in the US are supporting the reckless drive toward fresh confrontations with Russia. This source is comparing it with the propaganda war build-up before the invasions of Iraq and the tasteless denunciations of Mr. Blix - seemingly the only UN person keeping a cool head at the time. White House spokesman announced that US President Barack Obama is determined that the United States must continue its efforts to isolate Russia. WASHINGTON (Sputnik) — US President Barack Obama is determined that the United States must continue its efforts to isolate Russia, White House spokesman Josh Earnest said. “I can tell you that the President’s view continues to be that this administration needs to be continually assessing what our strategy is to further isolate the Putin regime in Russia to convince them to re-evaluate their strategy in Ukraine,” Earnest told reporters Monday. The United States’ Russia policy has so far been successful, according to the White House spokesman. In addition to “uniting the international community around this principle of respecting the territorial integrity and sovereignty of other countries”, the US strategy has helped devalue the Rouble and cause debt evaluators to downgrade Russia’s securities, Earnest stated. Relations between Russia and the United States deteriorated greatly in 2014 amid the crisis in Ukraine. Washington, alongside a number of western allies, introduced several rounds of anti-Russia sanctions, blaming Moscow of providing pro-independence militia in eastern Ukraine with military support. Russia has repeatedly denied any involvement in the conflict, deeming sanctions as counterproductive and calling on the warring sides in Ukraine to engage in direct dialogue to find a political solution to the crisis.